We all wear them, to varying degrees of delight. I absolutely adore them – in fact, shoes are kind of my signature thing. And I think the use of shoes is the perfect comparison for the use of fonts. Let’s think about it for a sec. Shoes may not be the very first thing you notice about someone, but they place a quick second. The wrong shoes scream out, “Oh, no you didn’t!”, but the right shoes –sublime. When worn with thought and of course, style, the feeling is effortless and just, well, perfection. The effect is immediate and strong with the example on the left, yet the messaging is a bit confusing on the right. Fonts are the ultimate mood setters, like really great shoes – you see them, but they usually serve as a complement to the overall look, rather than overwhelming it. So how does one select that perfect font that strikes just the right note? 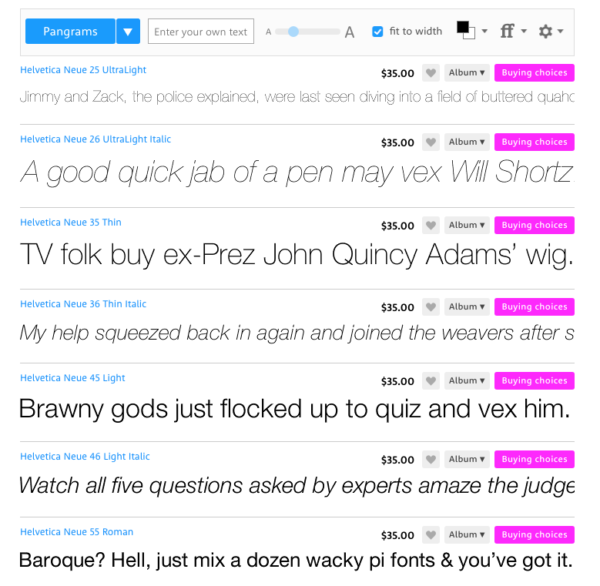 The descriptions I read when shopping for fonts often make me feel as if I’m about to make a fabulous new pal. Consider French Bulldog by Sudtipos: “Meet French Bulldog, a trustworthy companion full of personality, fun and energy.” Wow! I want this one! Further, “French Bulldog was made to celebrate the unnoticed precious little moments. A hot coffee in the morning, the sea breeze on your face, the sweet smell of a flower, a nap with your dog, a meeting with friends, the tenderness of a maternal caress, traveling, walking, crying, sharing, feeling, being oneself.” That’s a lot to expect from a font, but I buy right into the fantasy. And that’s how I’ve ended up owning in excess of 1,000 different typefaces! Graphic designers are beyond passionate in their regard for font usage, almost as if a font were a living, breathing entity. We research them endlessly, curating fabulous collections and squirreling them away in the hope of featuring them in our next project. We assign them personalities and even sometimes banish them for overuse or impertinent behavior. I’ve been party to more than one heated debate over the “right” font for a project. 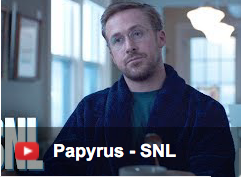 And of course, there are those fonts that have become something of a design world laughing stock, such as Papyrus or Comic Sans, as ridiculed in this SNL video (please note the use of Comic Sans in the final frame). This video of course, is high humor for us font lovers. while much of font usage is certainly subjective, you or your expert graphic designer needs a solid understanding of the foundation of fonts and their appropriate usage. A working knowledge of serif fonts – those fonts with interesting little “legs” and embellishments – and sans serif fonts, which are simply clean and void of extra strokes or feet is essential. An oversimplification would be to say that serif fonts are more traditional, and sans serif fonts are more modern, but that would be forgetting other factors such as readability up close and from afar, for instance. 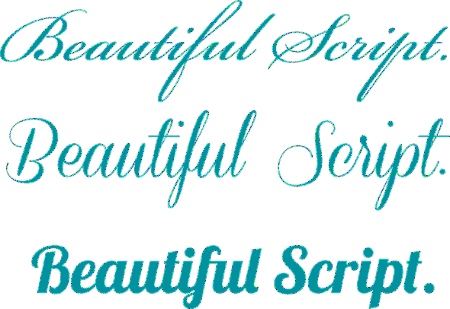 Beyond the basic difference between Serif and Sans serif fonts, there are other categories – “wild” fonts which include the more decorative iterations, and a vast array of script and novelty fonts, both traditional and contemporary. The three fronts below range from very traditional to quite contemporary – each conveying a different message. The top, Bickham, is elegant and established – imagine an engraved invitation. Coneria, while still engaging and feminine, brings a more updated vibe. Lobster, ubiquitous for a few years, is friendly, non-threatening and very easy to read in advertising and packaging. Visualizing how the entire font will play out is simplified by looking at a Pangram – often an amusing sentence like those below, illustrating every letter in a given font. Many times I’ll be excited about a font – only to see that the dot of an “i” or an upper case letter just isn’t working for my project. I’d love to help you maximize your messaging, whether in print or online. Let’s make sure your font choices reinforce your communication, and never compete or distracts from your well-curated information. Just think – you’ll always be putting your best foot forward!